It has been a while since I last updated my blog. Blame it to the microblogging websites and social networks that gives me immediate gratification for posting. 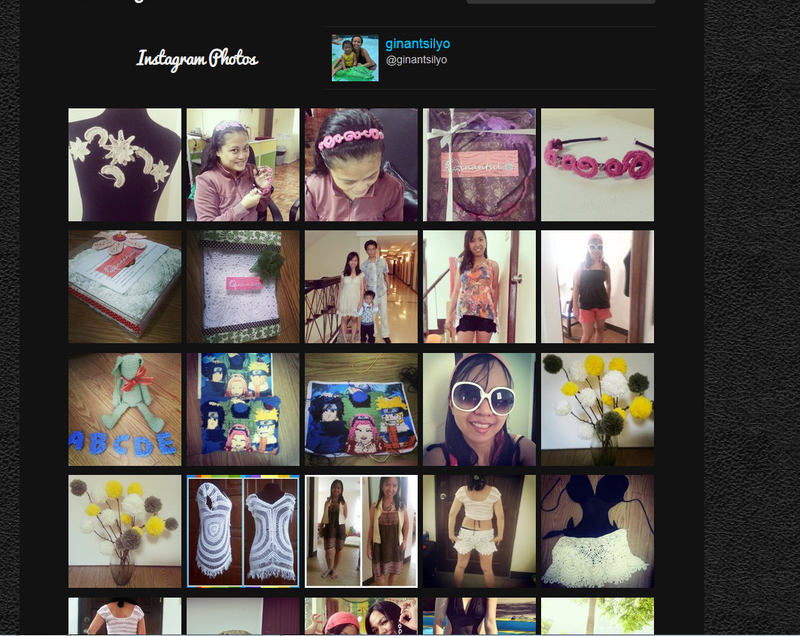 I have been actively updating my [#ginantsilyo, @ginantsilyo] Instagram, that I have left out this blog to (rot). Another Yarn Purchase – Mulberry Silk! Today, I am about to make a yarn purchase. I have long wanted to create my own brand. A brand that offers unique and elegant designs as well as delicate and high-quality craftmanship. Before I opened my facebook page at http://facebook.com/ginantsilyo, my plan was to start with a line of bags I personally designed but the plan was sidetracked with so many things that pushed me to just have the site up. Now that my first bag has found a client, I am very keen to reawaken my dream. I started searching for customized labels but deemed them too much for my need then I rediscovered my clay-molding skills. And yes! I loved the way I was able to render this last image. Because the spacing of the fonts are right and I was able to bend and mold the letters without showing the breaks in between. I had to mix in colors because I do not have the right shade that is needed. I mixed in gold powder so that the clay would have shimmer.. I tried my first stamp Eeek!!! I can repeat the designs!!! And finally! My final output! I had to put the holes so I can sew the label into the bag. 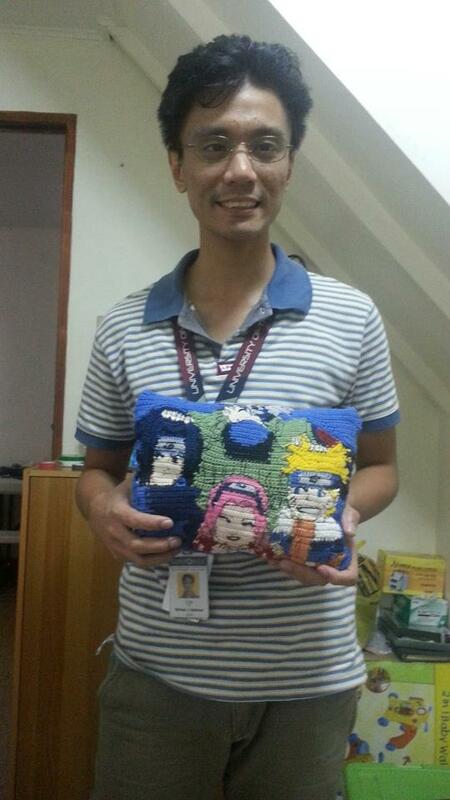 This entry was posted in Crochet, Gawang Gantsilyo and tagged bag label, crochet bag on July 19, 2013 by Lorelie Dazo. It warms my heart every time my friends love my work. A friend tagged me in her photos and I was really taken by the striking scenery of waves and sand that I fail to find a reason why I was tagged. This actually made my day Hence I got inspired to create a new tagline for my facebook page. This entry was posted in My Story, My Life on July 3, 2013 by Lorelie Dazo. A few weeks ago, a friend of mine, Gina, presented me her latest project. A crocheted woolen skirt of deep purple and black. She had intend to sell the skirt and asked me for marketing help. But when I saw the skirt, I immediately wanted it. Not for me, but for my sister, who has been asking me for something crocheted. The skirt has relatively simple stitches but the execution was clean and pretty. I am not really good at making decent even stitches but I always try and I know that it is very difficult to do. I have to make repeats of rows just to maintain the evenness and this is what she was able to procure. Read more about the dress at her blog entry, here. 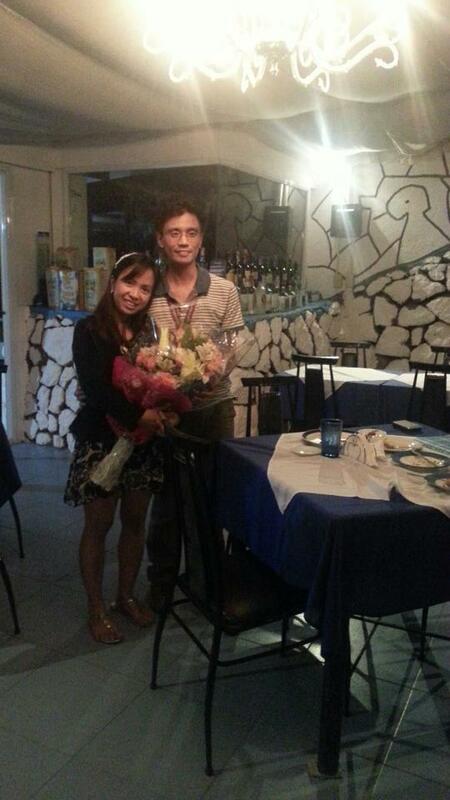 Fancy giving your love ones, a gift of ginantsilyo? Php 1,200 for size small – medium [waist 24- 27]. This entry was posted in Crochet, For Sale, Gawang Gantsilyo, My Story, My Life and tagged crocheted skirt on June 21, 2013 by Lorelie Dazo. 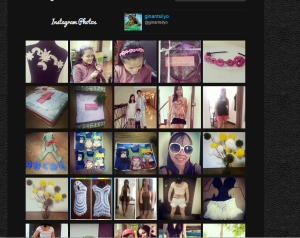 I am now lurking on Instagram!!!!! This entry was posted in Uncategorized on June 6, 2013 by Lorelie Dazo. You know when inspiration suddenly kicks in and you just have to get up and quench that lingering thirst to create? It happened to me, a few nights ago. When I came up of a better way to create the swirls I have been wanting to create using padding cord and sc. I pulled out a thick and soft yarn from my stash and crocheted. This the only way I can sleep, when I have proven that what my mind is thinking would be right. Here is the finished hair accessory, the metal floral accent complements well with the soft pink thread. And here is the concept behind the stitch. I have observed this when doing Irish Crochet motifs. When you crochet over padding cord and you have to push the thread tightly together to establish a round curve on the next layer. So with this I was able to create a twisting swirl by crocheting multiple sc’s over the padding cord, pushing the stitches tightly together so that it will coil by itself, crochet more until the coil would form tightly enough it can stand on its own. Do this on both ends of a short padding cord and stitch the two ends together by tying a knot. The attempt was successful enough to create my next design of hair accessory. This took just half a day to finish and I sew it on the headband (wounded with woolen black yarn) so that it would be affixed permanently and then I applied white glue on the back, just enough to provide a subtle stiffness to the swirls. The hair accessory was very simple yet there is something to the swirls that wants me to not let go of the project. But an order is an order, so I must comply. 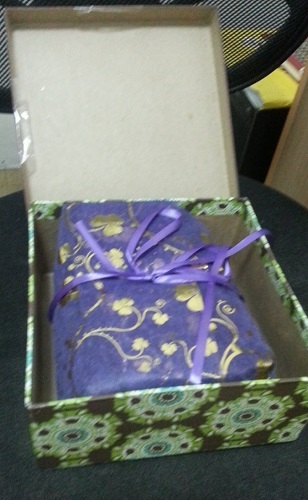 I did not feel any regret now, as the client was very happy with what I was able to deliver. Thank you jen, for buying Ginantsilyo. I am not really sure if you like everything I created because they are too preppy and feminine But I am so glad that you did! This entry was posted in Blog, Crochet, For Sale, Gawang Gantsilyo, My Story, My Life and tagged crochet headband, for sale on June 6, 2013 by Lorelie Dazo. Howdy. It’s been a long time since I last wrote a blog. 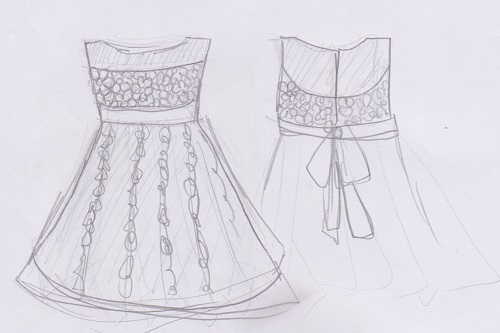 Right now, I got inspired to design the pregnant me, a new dress that I hope I can finish this year. The dress will be crocheted using a linen thread I recently bought from China. 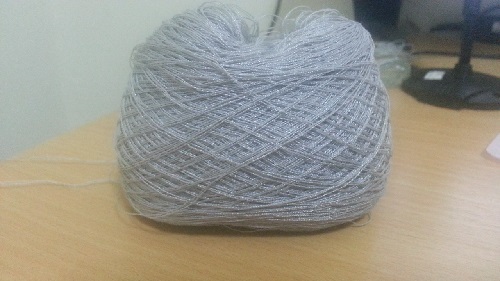 The thread has a silver hint on it and very soft, that is why I picked it up for my project. The design is very lacy and feminine. I like frills and flowers and ribbons and lace. 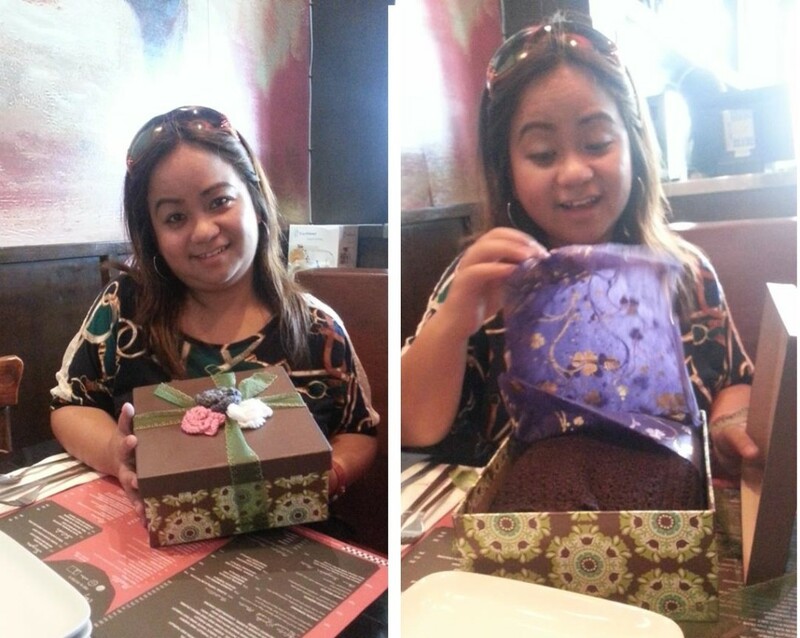 This entry was posted in Blog, My Story, My Life on June 4, 2013 by Lorelie Dazo. Last week, I suddenly felt the overwhelming need to create my husband a gift for our anniversary this week. I have always made gifts for Mike since we started going out as couple and I stopped when we got married. Mike doesn’t want anything but service like a massage, a different food experiment, a coffee concoction, even a haircut. So I indulge him by providing him massage and cooking food for him. But then I realized that these things have been an ordinary token of love that I just have to make something not ordinary. Since my husband is a very simple guy, it is harder to think of something that would really make him like, you see, he is very content and happy but I just want to see that hint of surprise in his eyes. 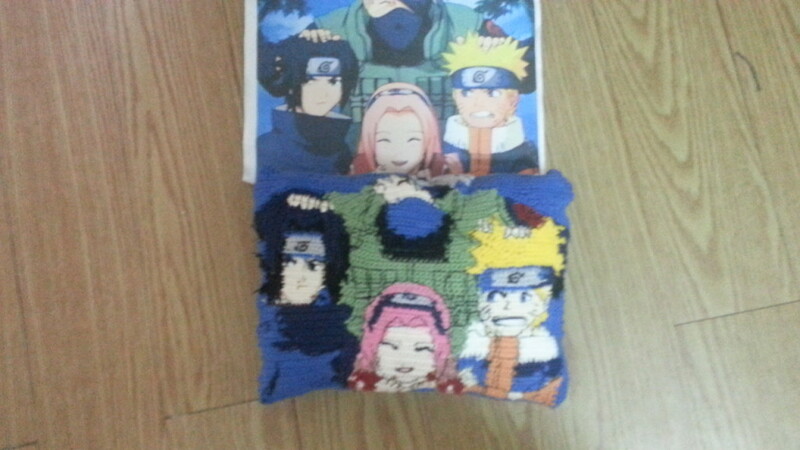 Mike always love Naruto. He is the one who even introduced the anime to me. So we used to spend days watching the series repeatedly. And it is from that concept that I felt I have to do something inspired. 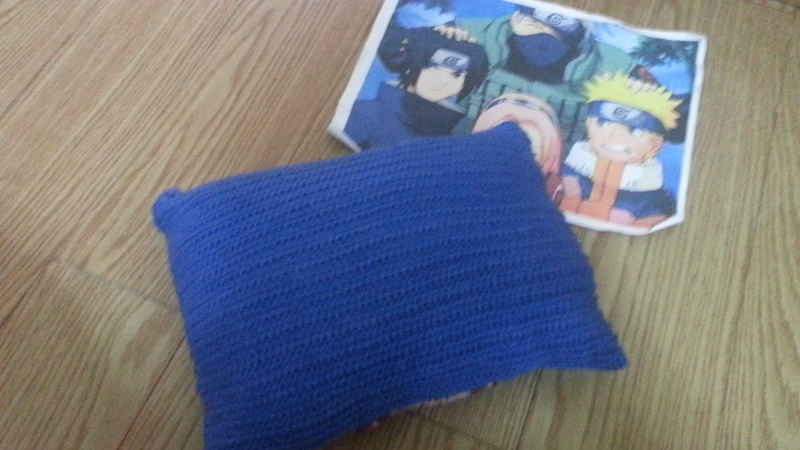 But remember that I have already given him a Naruto crocheted coaster a while back? Doing something like that would not have anything “special” to it, so I have to think more. Then I thought of the whole characters in Kakashi sensei’s team. It was a feat, of course as I only have five days to make the gift and I cannot crochet when he is around and I have work. 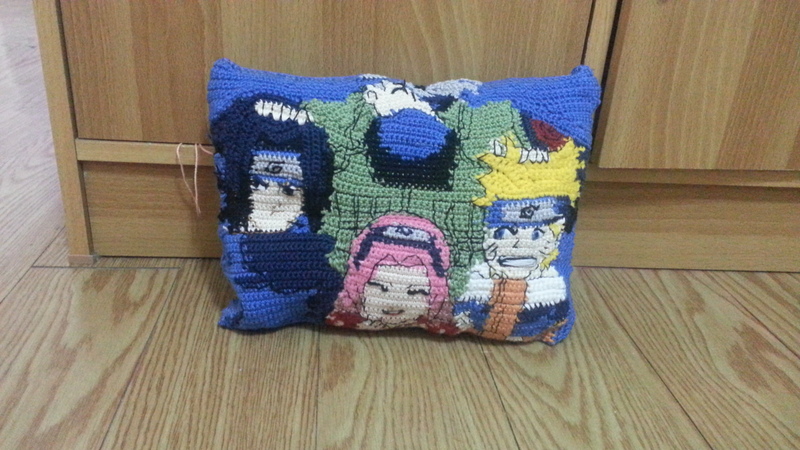 This entry was posted in Gawang Gantsilyo, My Story, My Life and tagged crocheted kakashi, crocheted Naruto, crocheted pillow, crocheted sakura, crocheted sasuke on May 8, 2013 by Lorelie Dazo. 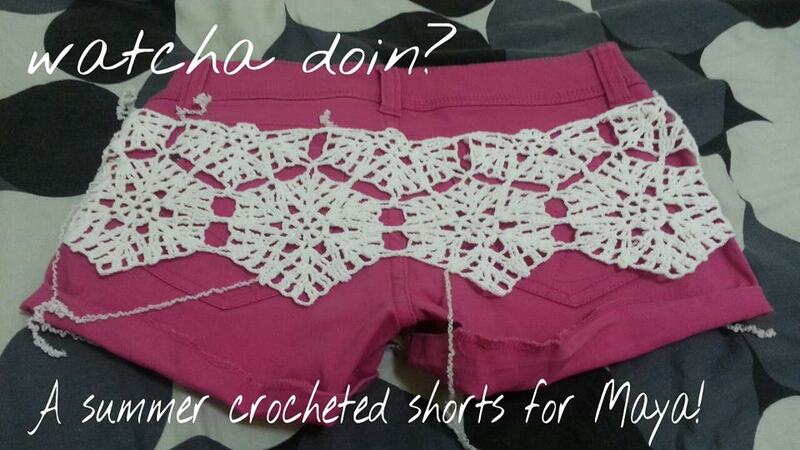 Today, I have finished crocheting the made-to-order shorts by one of my friends who is currently working in Laos. She wants a crocheted shorts she can use as an alternative swimwear coverup. At first I was reluctant to recreate my first crocheted shorts, as it was not an original design. But my friend’s requirement was just it has to be white like that. I finally am able to create my own design of a crocheted shorts after going over my previous crocheted shorts (I had already three, none were original designs). Here I present how the concept of the shorts is actually made out. My first attempt is to join the motifs on three points, I later found out that it’s better if i connect them on five points so that the holes are smaller and minimal. Also the stretching factor would be lesser. The trick to actually be able to gauge the size is to get one of your shorts and laid the motifs flat. So you would know how much the sewn motifs will have to accommodate stretch and where you have to add the edges. Next is to crochet a dc-ch mesh on top of the motifs to secure them together and maintain the shape. Take note that the mesh should have more rows on the back than the front, to accommodate the fullness of the buttocks. The fun part here is i added a strip of “flower” open-lace-work to giveway to the very plain dc-ch mesh. And now I have chosen an open-work-pattern for the lace edging that looks as if the points of the snowflakes bends and meet and make little droppings of icicles down the edges. 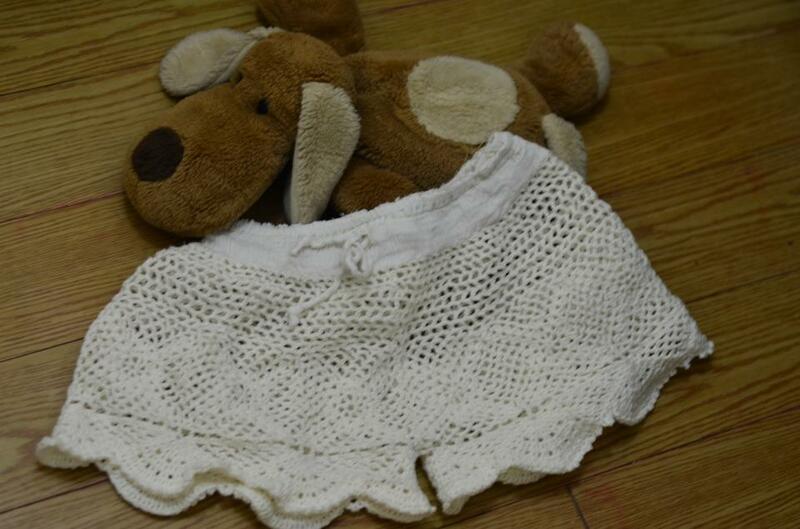 This entry was posted in Crochet, Gawang Gantsilyo and tagged crocheted shorts, summer on April 23, 2013 by Lorelie Dazo. From the classical world, the name Moira stems from the Greek word for fate, also meaning ‘doom’, ‘destiny’ and ‘lot’. In Scotland, Ireland and England, the name Moira is said to mean ‘bitter’. The name alone conveys two definition almost unrelated to each other :P.
Happiness is best enjoyed when shared. ‘Tis a bundle of joy in each ball of thread. Wound as dense as a tightly clasped fist. This entry was posted in Poems, Yarn and tagged crochet poem, free yarns, poem on April 1, 2013 by Lorelie Dazo. Last week, I was fortunate enough to have all the time in the world to just crochet to my heart’s content. I want to share what I have come up with. First is a Bruge’s lace concept idea that have been running on the back of my mind for a long time now. I had the chance to jot it down, and I want to share this with you. 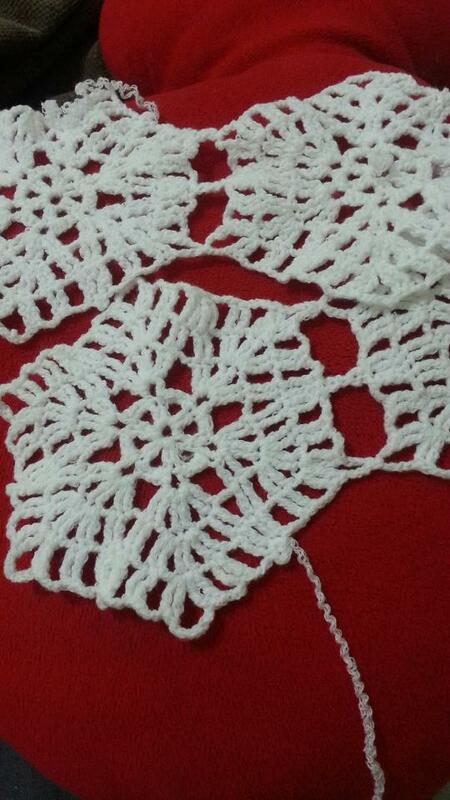 Bruge’s lace is easy to start but is rather complicated to work around. I have tried to work on a bruge’s lace project before that did not succeed because I forced to finish this during a travel wherein I wasn’t able to gauge the right size. Hence, big fail. This pink project should have been a pair of shorts. I failed to make the right size for the crotch area and I have to unravel the whole lace strip to correct it so i decided to just let it be. 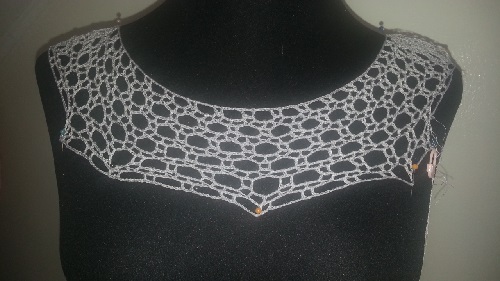 The Bruge’s lace part here is already in the works but I haven’t gotten the time to actually photograph. Now the other obsession is my liking for irish crochet. I have been trying to create something using this technique but if the project is too small to satisfy my obsession, I haven’t created anything that is really successful. My first project on irish crochet resulted in creating Big and Fat Silver Earrings, and the Lacy Headband. This time, while trying to create another lacy headband, I realized I could take the time to create an Irish inspired blouse. I started with my most favorite design of Irish Crochet, the Passion Flower. I love the complexity of the stitches and the simplicity of the actual output. It looks dainty and one can be immediately curious about the cylinders of rolled over threads in the center of the flower. With this motif, I learned how to make the roll over stitch. Initially, I thought I can crochet in between stitches and mend using a hook rather than a needle. This proved to be very difficult and time consuming so I took the bother to find for a tapestry needle. It was a wise decision. As this was my first successful attempt in pursuing this kind of crochet construction, I was quite proud that two days passed without me, giving up. I knew I just have to finish the irish lace front and do some filet mesh on the back. Currently, everything is still a work in progress. Work suddenly has to catch up and I have to rest my projects for the meantime. But I am eager to come back to these every possible time. I hope I can show you the finished blouses soon!! 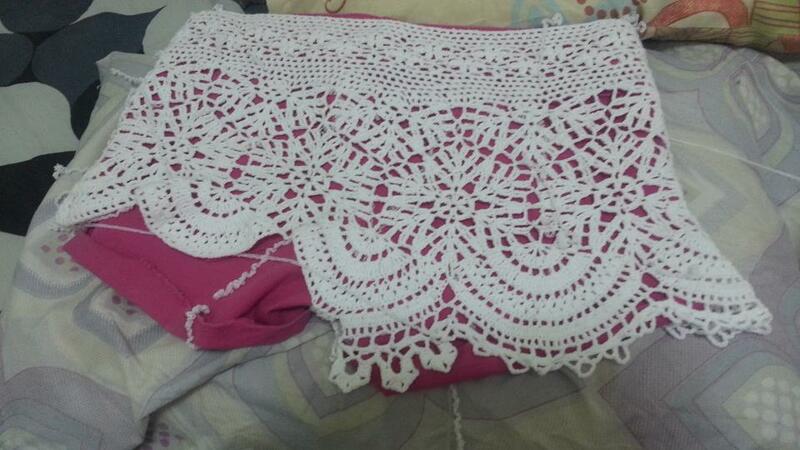 This entry was posted in Crochet, Gawang Gantsilyo, Learn Ginantsilyo By Project, My Story, My Life and tagged bruge's lace, crochet blouse, crochet filet, irish crochet on April 1, 2013 by Lorelie Dazo.